This image composite shows the search for the supernova, nicknamed Refsdal, using the NASA/ESA Hubble Space Telescope. The image to the left shows a part of the the deep field observation of the galaxy cluster MACS J1149.5+2223 from the Frontier Fields programme. 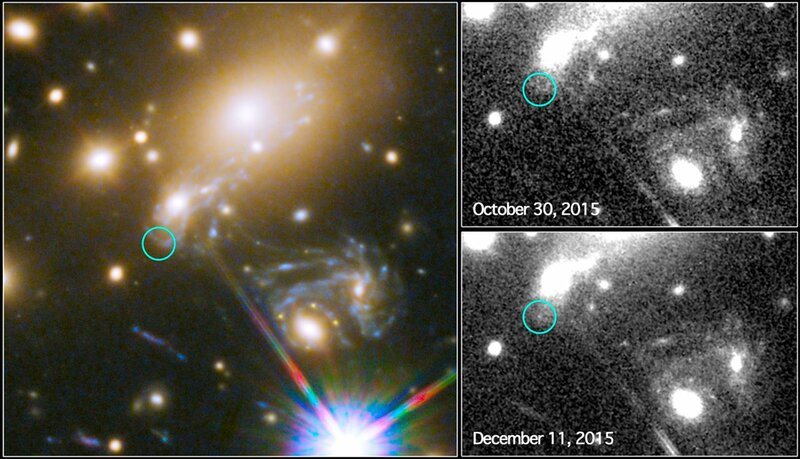 The circle indicates the predicted position of the newest appearance of the supernova. To the lower right the Einstein cross event from late 2014 is visible. 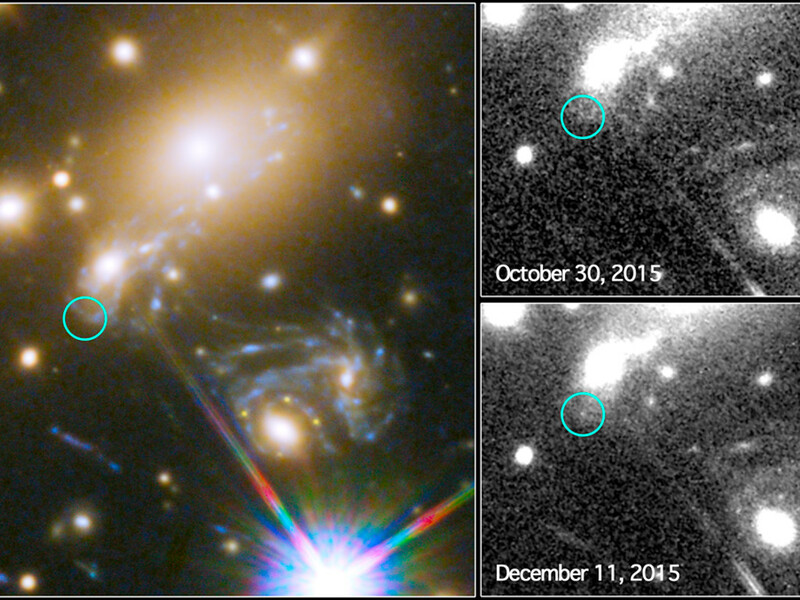 The image on the top right shows observations by Hubble from October 2015, taken at the beginning of observation programme to detect the newest appearance of the supernova. 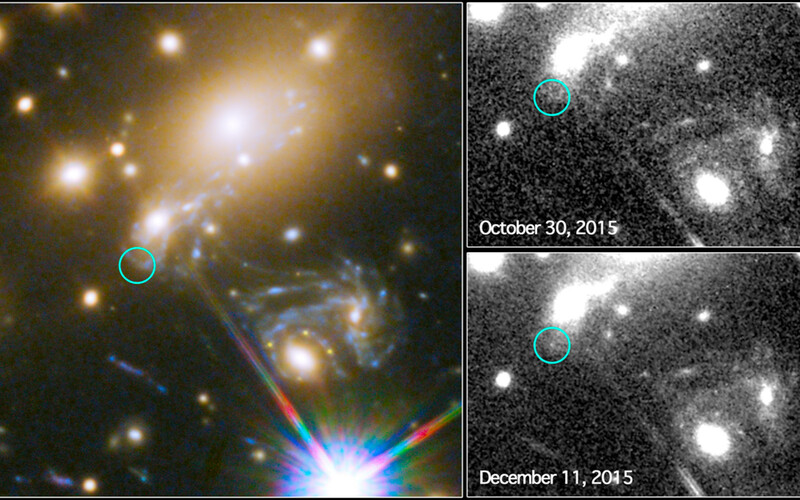 The image on the lower right shows the discovery of the Refsdal Supernova on 11 December 2015, as predicted by several different models.